Gallery Walls are beautiful. They can be structured or scattered, either way, they can be just the key to adding personality and personal touches to your room. 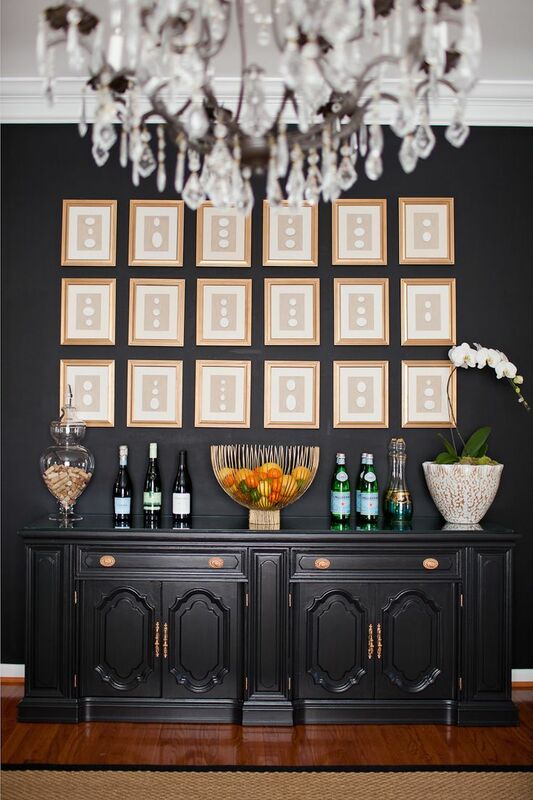 Using a mix of frames is a fun way to add some eclectic style, while using the same, or similar frames, can add structure. I love sleek black frames, with a thick matte underneath. 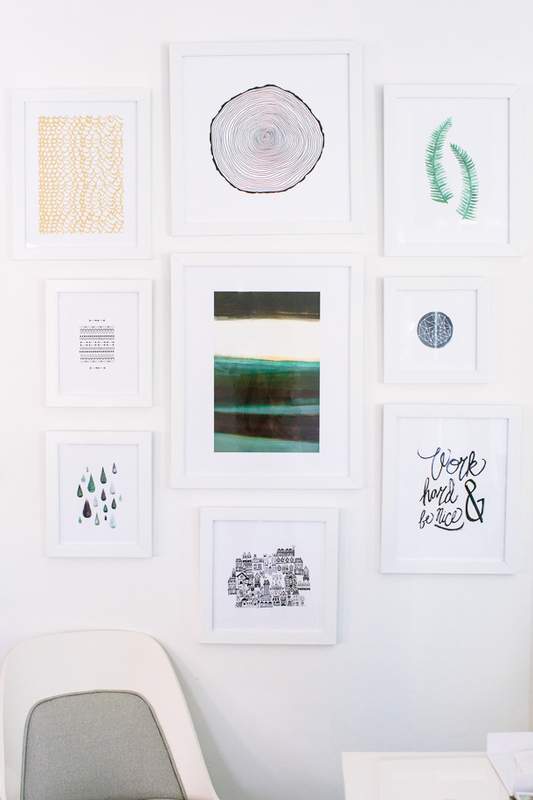 You can mix sizes, shapes, and colors of frames, or even just leave them out! Frame-less gallery walls are fun because all you need to do is tape up some pictures. 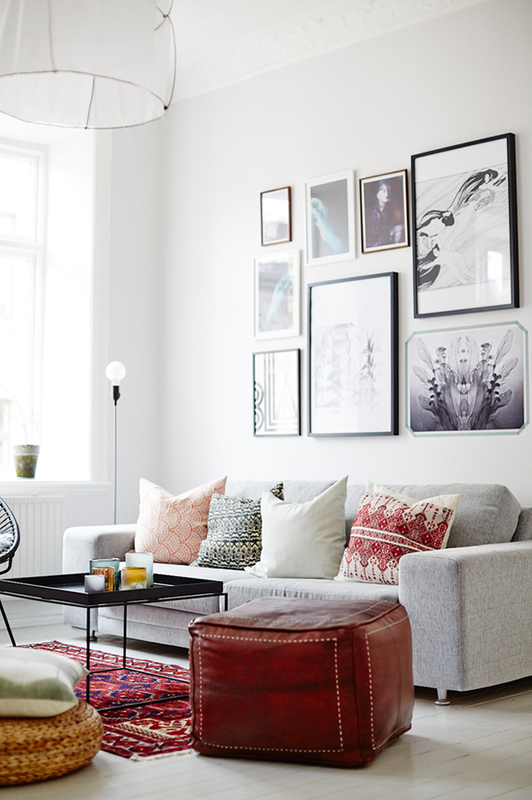 You need to be careful when assembling your gallery wall to make sure that it is balanced. Make sure to have bold colors distributed and not clumped in one section. Also spread out bigger and smaller images. An important reminder is to make sure the vertical center of your gallery wall should be about eye level for the average person or 62 inches off the ground. You can space images evenly in a line or grid, or scatter images. 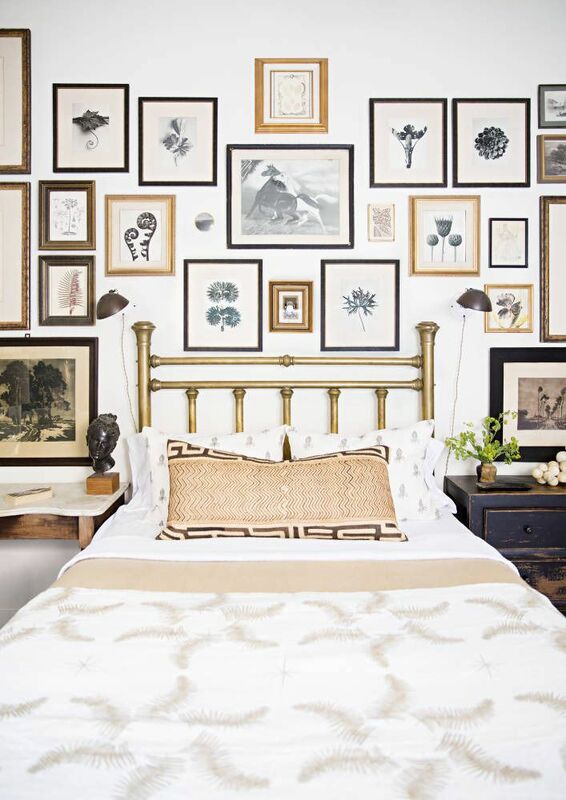 Gallery walls are perfect to disguise a large TV, fill that awkward empty space above your headboard, and add a bit of fun to a hallway.